University of Texas Press, 9781477318713, 168pp. 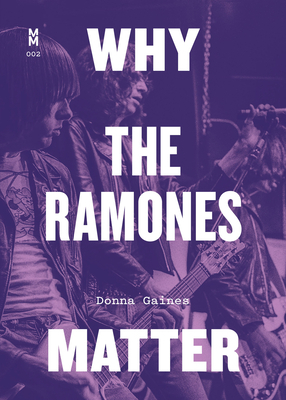 DONNA GAINES has written for Rolling Stone, MS, the Village Voice, Spin, Newsday and Salon. Her work has been published in fanzines, trade and scholarly collections, journals and textbooks. A sociologist, journalist and New York State Licensed Master Social Worker, Dr. Gaines has taught sociology at Barnard College of Columbia University, the Graduate Faculty of New School University. Since 2013, she has taught social science, music, youth and community studies at Empire State College of the State University of New York. An ocean activist, Gaines also works as an Usui Reiki Master Healer/Teacher with a special interest in spirituality and recovery.